I have joined pilgrimage trips organised by the Buddhist Compassion Organisation 温暖人間 to Japan, Sri Lanka, India, Hunan and Guangdong in China. This time, I went with them to Nanjing and Wuxi. This trip was led by Wendy and Patrick from the Buddhist Compassion Organisation and MY from Westminster Travel. All participants (36 in total) had to arrive at the airport by 9am. I met up with my friends, Bing, Cat and May and we spent an hour at the check-in counter of the Hong Kong Airline. Unbelievably inefficient! The plane took off at 11am and we arrived in Nanjing three hours later. Things went smoothly and we had an excellent local guide who speaks Cantonese. We proceeded directly to Jiming Temple 鷄鳴寺, one of the oldest temples in Nanjing. Originally built in 527 AD during the Liang Dynasty, it had been destroyed by war and rebuilt several times. The present temple was rebuilt in 1990s. 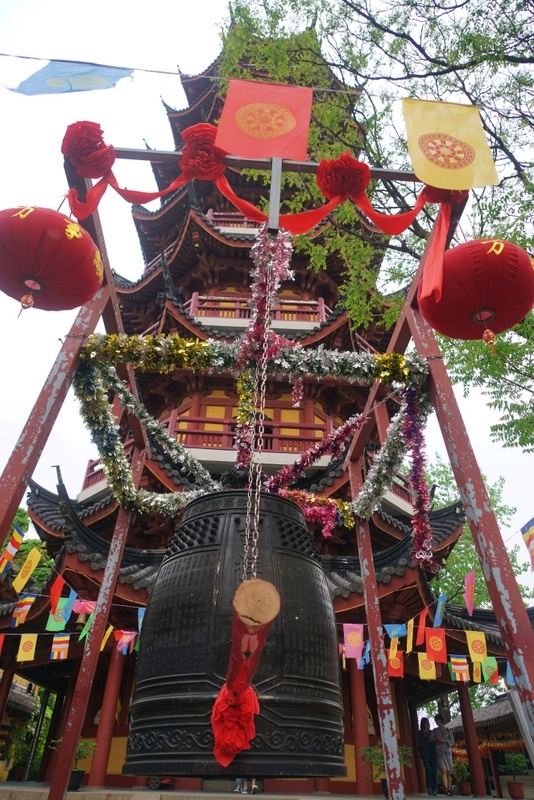 Jiming Temple is the busies and most popular temple in Nanjing. 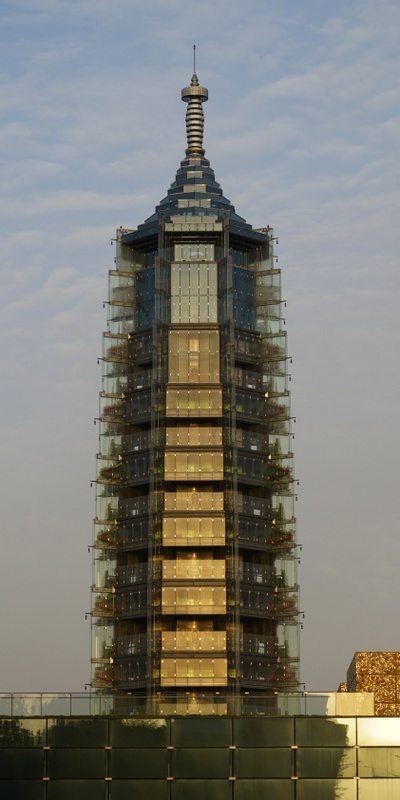 The more interesting structure is the seven-story Medicine Buddha Pagoda overlooking the Xuanwu Lake. We had vegetarian food during the entire trip. After an early dinner in one of Nanjing’s best Muslim restaurants, we checked in a five-star hotel, Jinling Hotel which I had stayed with Lillian on our first visit to Nanjing in early 1990s. Cat was my roommate this time. I had brought my swimming costume with me and had a pleasant leisure swim in the empty heated pool. I was tired as I did not sleep much the night before. I went to bed early and had a good sleep. I got up before 6am and went out for a walk with Cat. 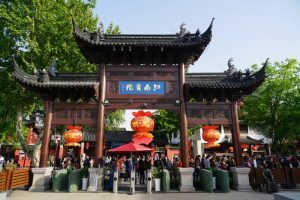 We strolled leisurely along Zhongshan Rd, passed the Gulou and reached the Xuanwu Gate, the main entrance to Xuanwu Lake 玄武湖. 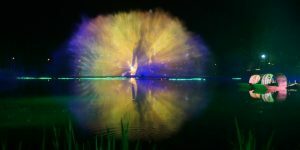 The lake has five islands interconnected by arched bridge and a circumference of 15km. 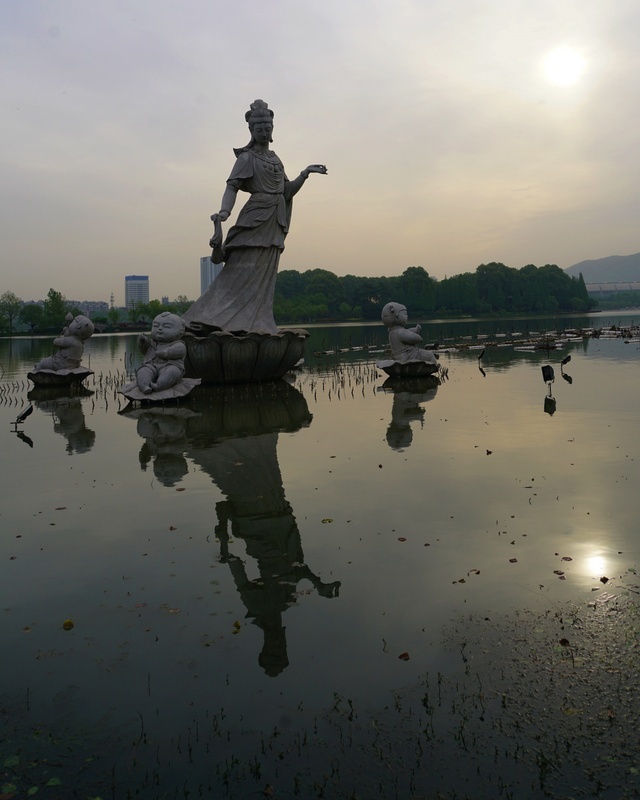 Once an imperial lake garden, it is a popular city park with temples, pagodas, pavilions, gardens, lotus ponds, teahouses, restaurants and a small zoo. To walk around the lake takes about five hours. As we had to take breakfast before 9am, we had time only for a photo at the Xuanwu Gate. We could not find a taxi and had to take the metro (RMB2) which is modern, comfortable and clean. The buffet lunch was excellent. We set off at 9am sharp as we were all punctual. 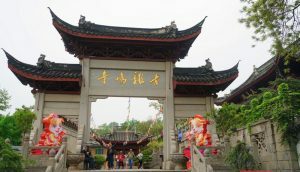 Today, we would visit Dingshan Temple 定山寺 on the other side of the Yangtze River. The journey took about 45 minutes. The temple was first built in 503 AD during the Sothern Dynasty at the monastery where Damo達摩, the founder of Chinese Zen Buddhism 禪宗 had stationed. 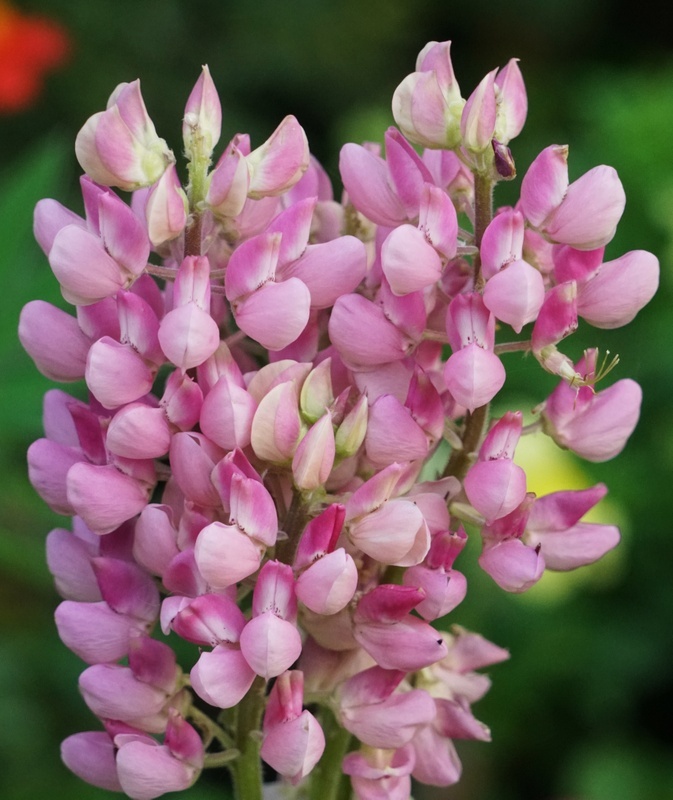 It was prosperous till its gradual decline after the Ming Dynasty. In 1954, it was completely destroyed by landslide and flood. Interest in the temple was renewed after 1980s. In 2007, the Nanjing Museum archaeologists discovered the site of the grand hall built in the Sung Dynasty leading to a decision to reconstruct the temple. 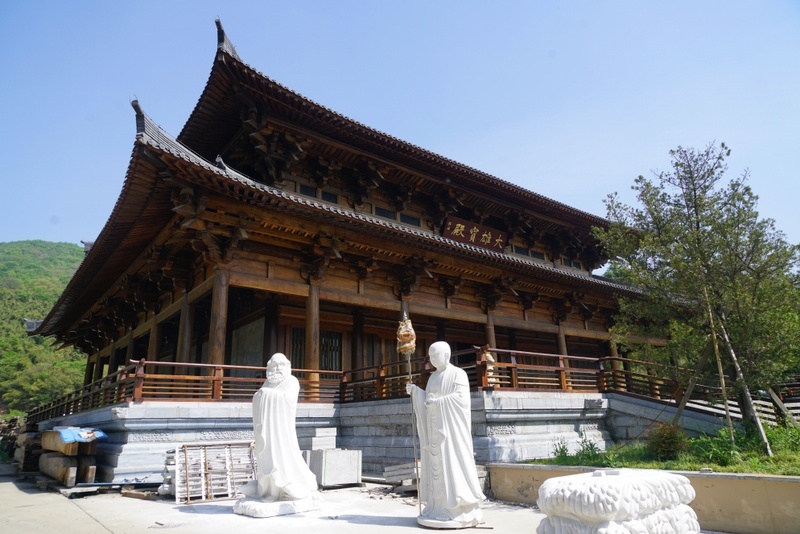 The plan is to construct the temple in wood modelled on Tang Dynasty architectural styles. This important mission was taken up Abbot Chi Kwong 智光法師 who kindly received our group. It is a colossal task. The wood has come from Africa. The temple is taking shape with the completion of the Grand Hall, Drum Tower and Clock Tower. 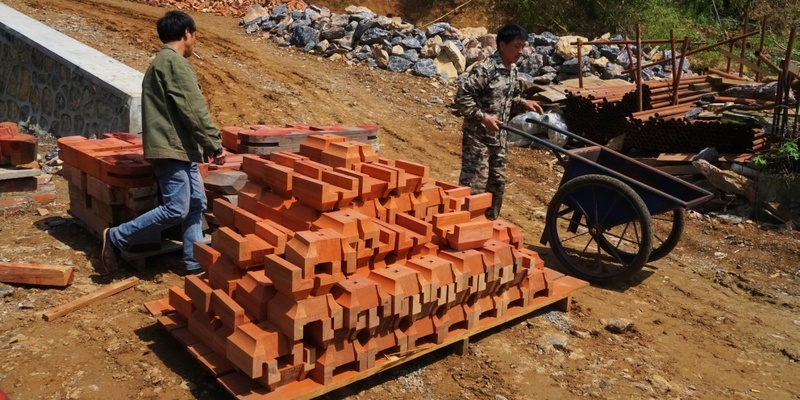 Workers are now working on the Damo Hall which dedicated to medication and retreat. 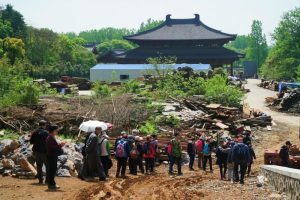 The Abbot took us on a tour to see the temple’s most important relics namely the Zhuosi Spring, Damo Rocks and Dharma Rocks. 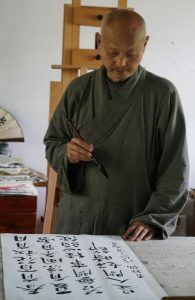 He is a calligraphist. We spent almost an hour in his study watching his ink writing. We had lunch in the temple. Then the Abbot spent an hour with us explaining about zazen 坐禪 (seated meditation) – a means of insight into the nature of existence and practising it for over half an hour. It is important to sit in a comfortable position. The beginning of a period of zazen is announced by ringing a bell three times. For beginners, it is difficult if not impossible to concentrate. I of course found my mind wandering and had to pull my mind back. At one time, I thought I almost fell asleep. Anyway, time passed quickly and the bell rang again ending the zazen session. We left the temple around 3pm heading to Nanjing’s busiest tourist attraction- an old part of the city around with the famous the Confucius Temple and Qinhuai River秦淮河. 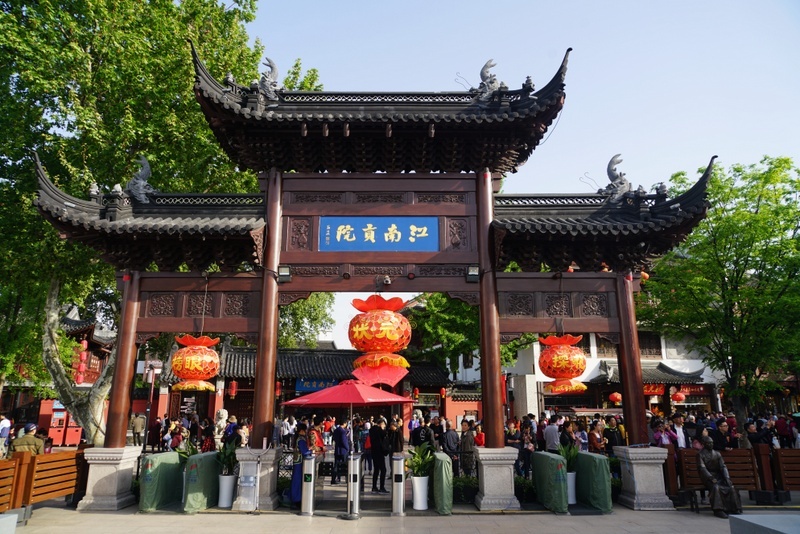 The main Gongyuan 貢院 Street are now lined with shops, restaurants and entertainment places. 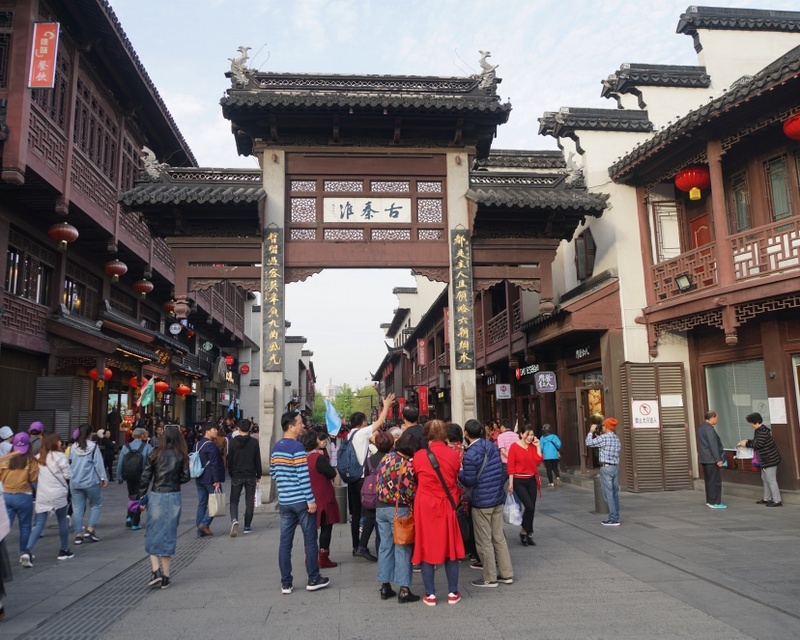 I was here for the first time in early 1990s and found the place charming and atmospheric with traditional but run-down buildings built during the Ming and Qing eras. Today, it is crowded, touristy and noisy. Bing, Cat, May and I decided to spend our limited time (less than an hour) in the new Nanjing Imperial Examination Museum of China. As there is no space in the old town, the museum with 30000m2 space spreading on 4 levels has been built underground. Being a senior citizen, I bought a half-price ticket for RMB25. This new museum is well designed with illustrations, interactive interpretations and videos. 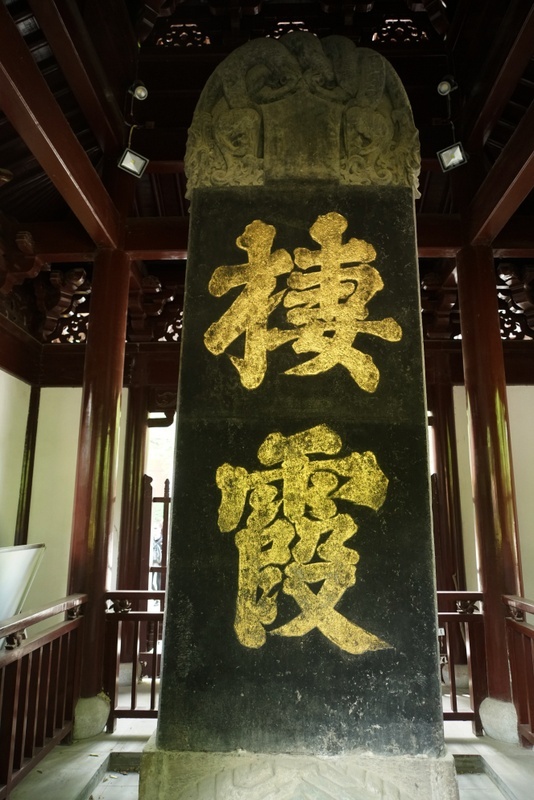 The displays centre upon the imperial examination culture, display of historical relics and the history and evolution of the imperial examination 科舉 system in China which it labels as the eighth greatest invention in the world. 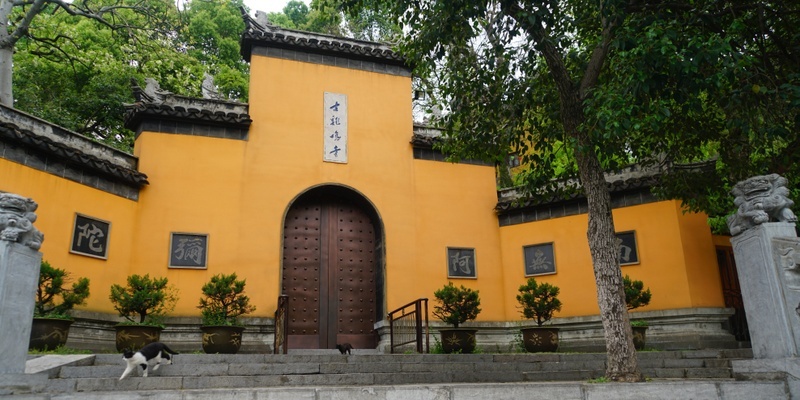 Jiangnan Examination Hall (also named Jiangnan Gongyuan 江南貢院) was China’s largest imperial examination centre by World Record Association in 2009. 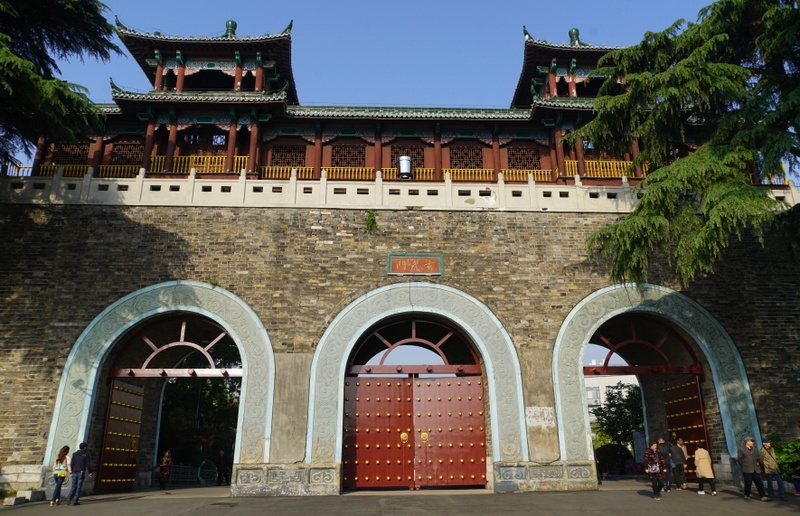 Originally built in 1168, it reached its zenith during the Ming and Qing Dynasties (1348-1911) with over 20000 examination rooms during the reign of Tongzhi (1861-1875). 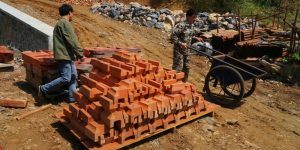 Together with its auxiliary buildings, the whole examination hall covered an area of more than 30 hectares. In 1905 the imperial examination system was abolished. In 1918, most of the examination centre was demolished apart from the Mingyuan Tower, Zhigong Hall, Hengjian Hall and a few of the imperial examination cells. 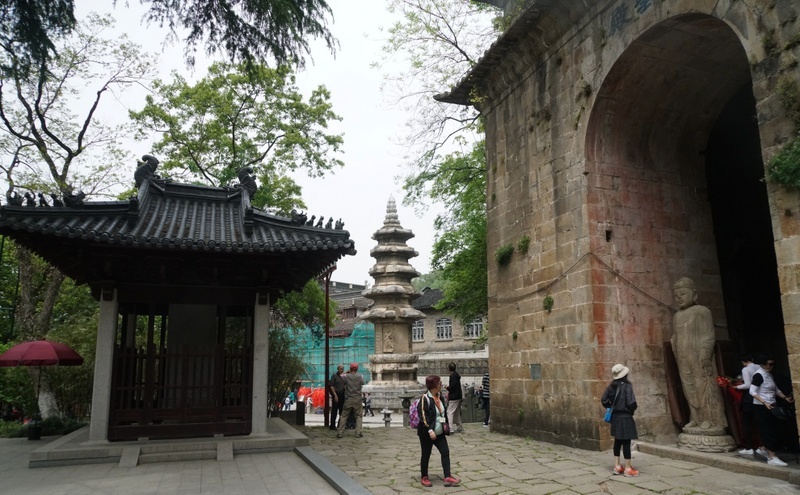 We came out at the Mingyuan Tower originally built in 1534. It is a three-storey wooden tower offering an overview of the whole examination hall. We had dinner in a restaurant close to a most important Buddhist site where one of the bones in the skull of Sakyamuni was unearthed in 2008. 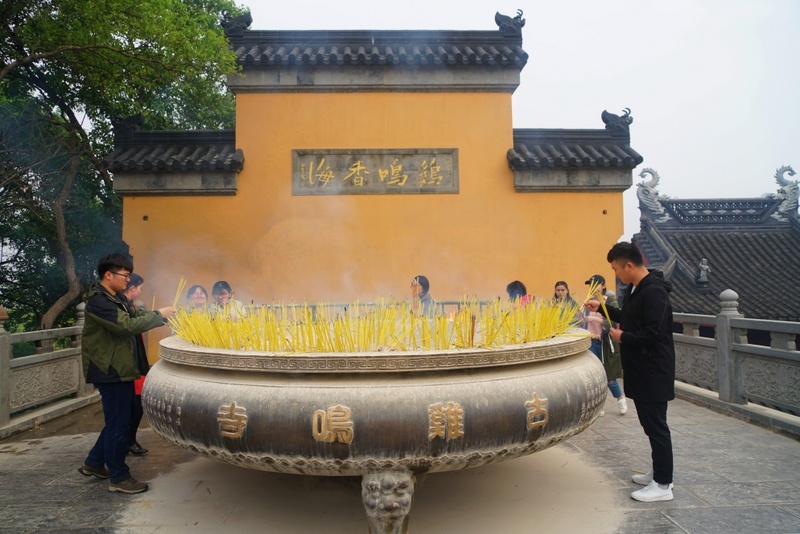 Archaeologists found the relic in a crypt in the ruins of the Changgan Temple built in the Northern Song Dynasty (960-1127) during the excavation of the Dabaoen (Grand Temple of Payment for Kindness) of the Ming Dynasty (1368-1644) which had been built on the old site. 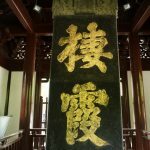 The relic has been enshrined in Foding Palace on Niushou Mountains since October 2015. I had a swim in the pool before going to bed. Cat and I got up early and took a taxi to Xuanwu Lake. I ran into trouble when getting off the taxi. I opened the door while paying the driver and without noticing a cyclist coming my way. The cyclist fell on the ground. Though he was not really hurt, he made a scene. The taxi driver did not want any trouble and tried to settle. At the end, I paid him RMB100 as compensation. This accident did not spoil my mood: Cat and I spent an hour strolling leisurely in the park. We only managed to visit three islands before taking a taxi back to the hotel. 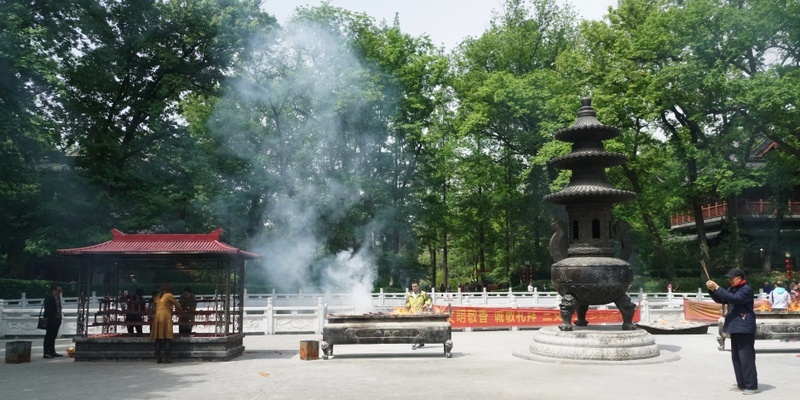 We left the hotel at 9am for Qixai Temple 棲霞寺 at the foothill of Qixia Mountain located 22km northeast of Nanjing. The mountain is known for its autumn foliage and natural beauty. Qing Emperor Qianlong described the mountain as ‘One of the brightest, cleanest and most beautiful mountains in Jinling”. This temple has a long history. Founded by Sengshao in 489 during the Southern Qi Dynasty (479-502), it is the cradle of East Asia Madhyamka and the birthplace of the Sanlun School 三論宗. 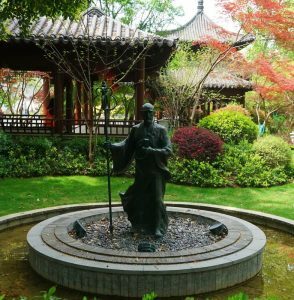 Jianzeng 鋻真 (688-763) who founded Toshodai-ji in Nara (I visited this temple in January 2017), stayed in this temple for a while after his fifth failed attempt to cross the sea to reach Japan. He succeeded in his six attempts in 754 after eleven years’ waiting. 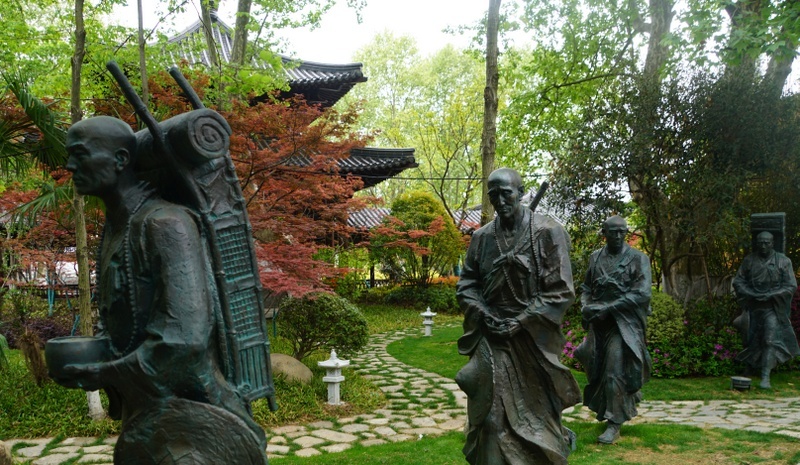 A bronze statue of the revered monk and several sculptures with monks carrying boxes of scripts are installed in the beautiful garden to commemorate this journey and nd stay in the temple revered monk. 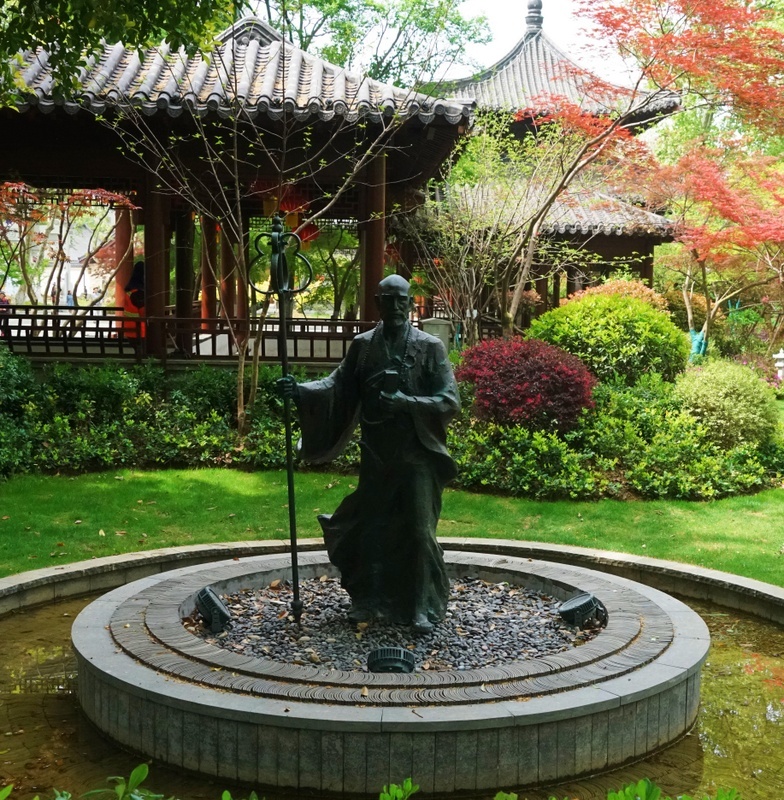 Monk Hsing Yun星雲法師, founder of Taiwan’s Fo Guang Shan, was tonsured here in 1941. The temple was completely destroyed during Taiping Rebellion (1850-1864) and reconstructed in 1919. 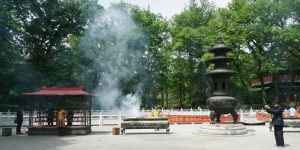 It is known for its large collection of Chinese Buddhist visual art and sculpture in the temple ground. Near the temple and situated on the slopes of the mountain is the “Thousand Buddha Caves” a group of grottoes containing many Buddhist sculptural works of art. We spent the whole morning here giving me ample time to appreciate the temple ground covered with beautiful lush green vegetation and red maple trees, a large man-made lake, the architectures of halls and relics. 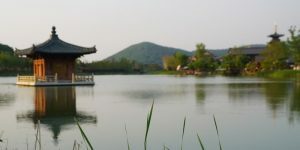 The Shanmen is beautiful with the mountain as its backdrop and a pond in front. The Pilu Hall enshrines the statues of Vairocana, Brahma and Indra is impressive. 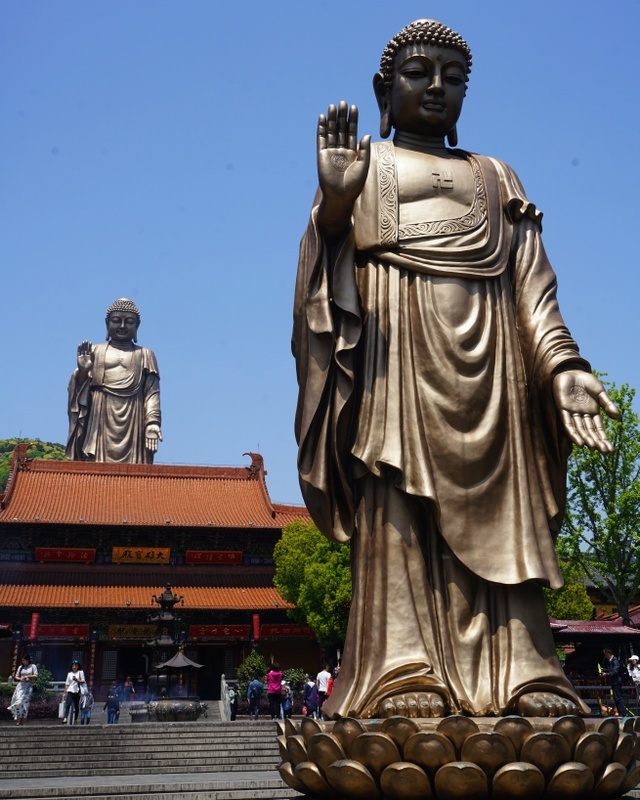 In the Pavilion of Giant Buddha built in the fifth century is a statue of Amitabha 10.8m-high. Next, we walked uphill to the Buddha’s Relics Pagoda. 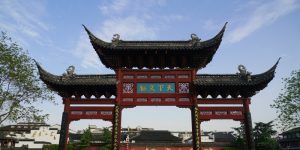 Built in 601, destroyed in the Tang Dynasty and rebuilt in 945 during the Southern Tang Dynasty, it is 18m-high with five stories in octagon shape. We cited Heart Sutra together before walking clockwise three times. We followed a path to the Thousand Buddha Rock with many caves. 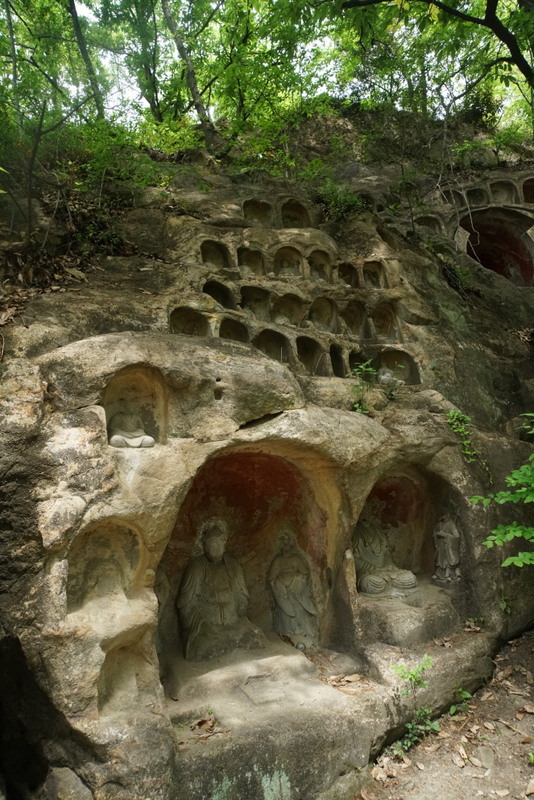 This is the only Buddhist grottoes of the Southern Dynasties (420-589) in China. More statutes were carved in following dynasties and there are more than 700 statues in total. 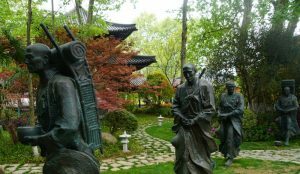 Unfortunately, most of the statues have been destroyed through weathering and during the Cultural Revolution. Instead of taking the same path back to the temple, I asked Patrick for permission to make a circuit by walking up to the hill top before descending on the other side of the hill. He knows me well and is confident about my physical ability to walk an extra one to two kilometres without problem. Peggy who likes hiking, came with me. We had an enjoyable walk with panoramic views of the scenic area from the hill top pavilion. We walked fast and reached the restaurant before the group. After lunch, we departed for Wuxi which is 180km from the Qixia. 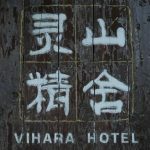 It took us less than three hours to arrive at the Vihara Hotel close to the Ling Shan Scenic Area. This hotel is elegant with ‘zen’ atmosphere as a result of its landscape, interior decoration, Japanese garden and wooden/bamboo furniture. We also had the best vegetable dinner of this trip. 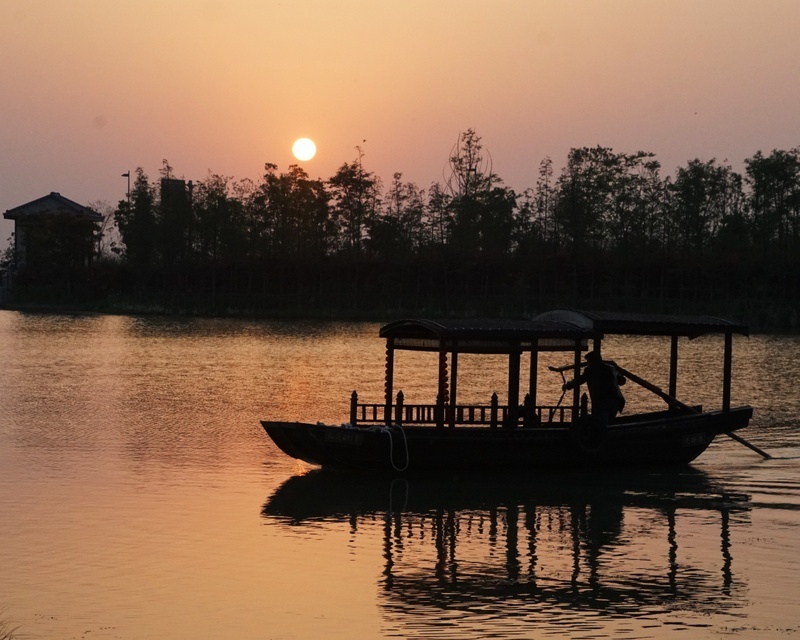 At 6:30pm we left for Nianhua Bay 捻花湾, a small man-made town/theme park by the Taihu Lake modelled on Nara, Japan which has the best-preserved buildings, architecture and atmosphere of the Tang Dynasty. 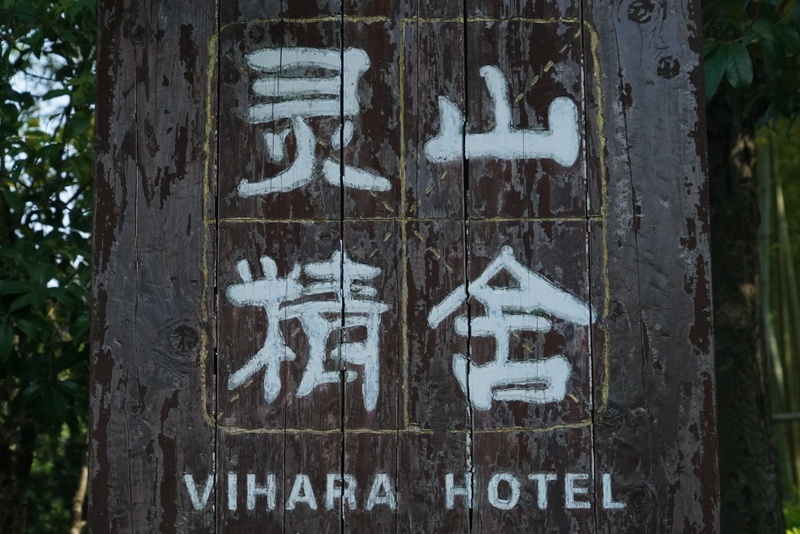 Open in end 2015, the park has 13 zen inns/hotels, many shops and eateries. The entrance fee is RMB120. 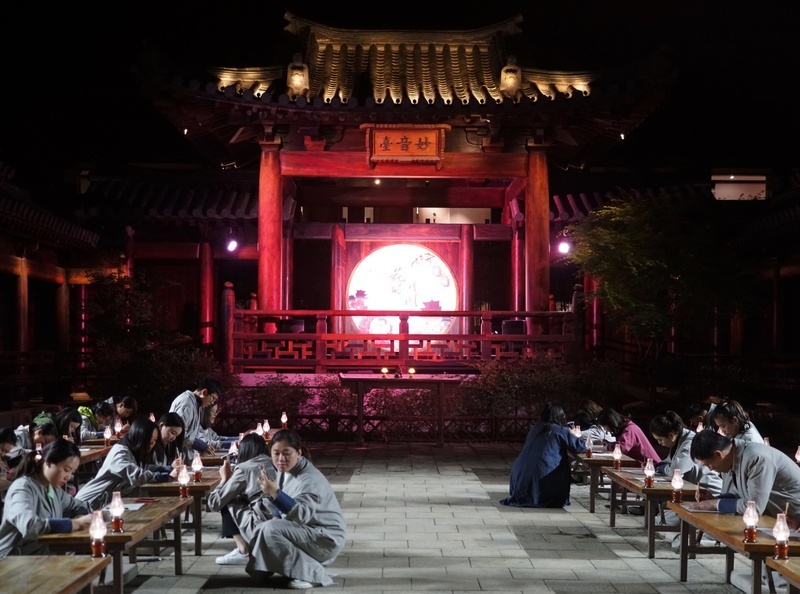 There are three sound and light show in the evening and many free demonstrations and appreciation classes on flower arrangement, tea ceremony, calligraphy etc. But I find the lighting and sound show too artificial to my liking. We returned to the hotel at 8:30pm. I slept well with the window open. I love fresh air and peace. I have heard a lot about the Ling Shan Grand Buddha 靈山大佛 from Lillian and Cat after their visit almost 20 years ago. The name of Ling Shan was given by the famous monk Xuzang 玄奘 of the Tang Dynasty (618-907) who came here and saw the mountain resembling Lingjiu Mountain in India. He gave it the name ‘Small Ling Shan’. Later a temple was built with Xuzang’s first disciple as the first abbot. Millions of pilgrims come every year. 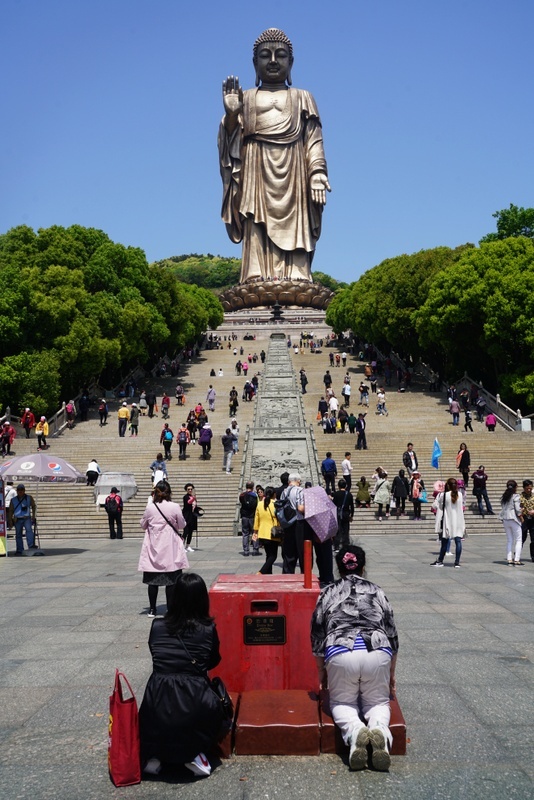 The 88m-high Grand Buddha is the world’s largest bronze Buddha statue and one of China’s five largest Buddha (the other four are located in the Yungang Caves in Datong, Longmen Caves in Luoyang, at Leshan in Sichuan and at the Temple of Heaven in Hong Kong). Today, the Grand Buddha is the icon of Ling Shan and the themes of the scenic area centre on life of Sakyamuni and Buddhism. 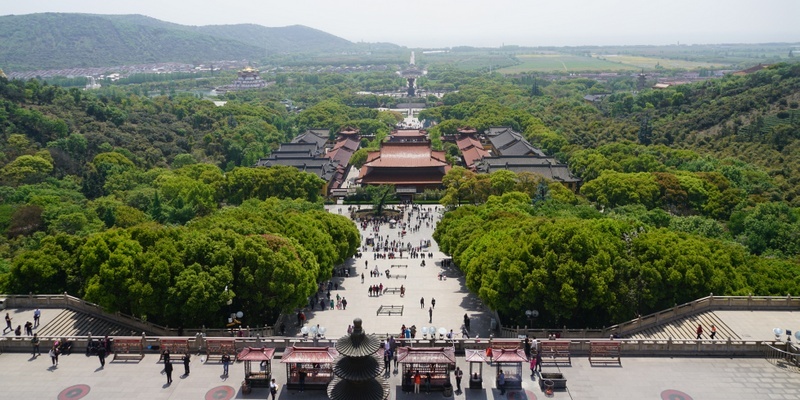 Main attractions include the Grand Screen Wall, Altar of Buddha’s Footprints, Nine Dragons Bathing Sakyamuni, Buddha’s Hand Square, Xiangfu Temple, Ancient Ginkgo Square, Brahma Palace, Flying Dragon Tower and Five Mudra Mandala. Though the entrance to the scenic area is close to our hotel, we went there by coach. Then we took an electric train direct to the largest square with a music fountain. 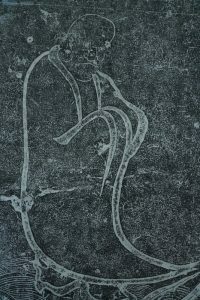 According to the Buddhist sutra, Sakyamuni was born with the ability to speak and walk. 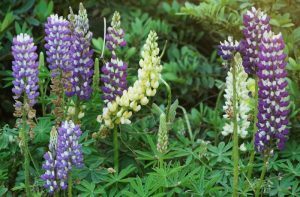 A lotus grew and bloomed on every step he made. After taking seven steps in four directions, he said ‘I’m the honoured master of the world’ with one hand pointing to heaven and the other pointing to the earth. At that time nine dragons appeared in the sky to bathe the Buddha with water. The show ‘Nine Dragons Bathing Sakyamuni’ started at 10am. 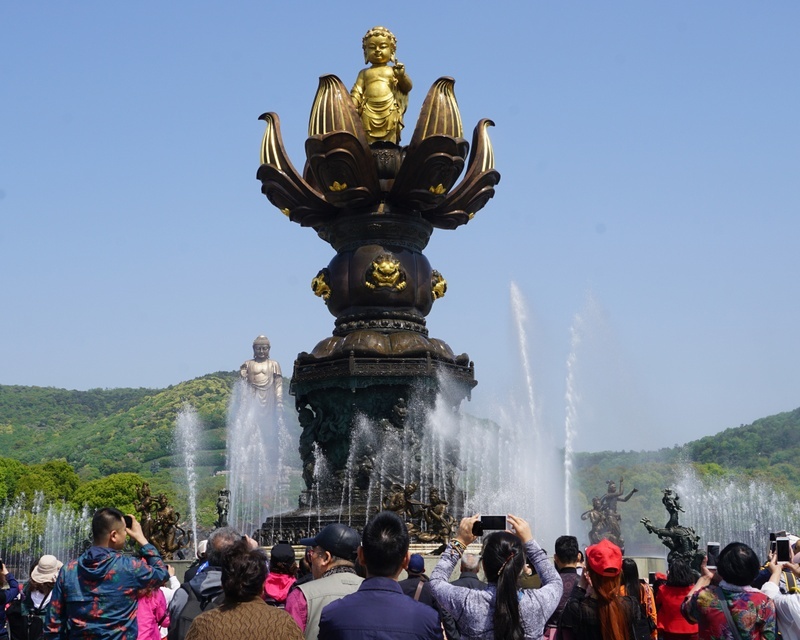 (There are five shows a day) When the music ‘Birth of Buddha’ plays, the lotus gently blooms, with a 7.2-metre gilded statue of Sakyamuni rising from the centre. The nine dragons around the pool spout water to give Sakyamuni a bath. Then we queued for another 20 minutes for the electric train to take us to the staircase leading to the Grand Buddha. Instead of wasting time elbowing our way through the queue and noisy crowd, I prefer to walk. But I had no choice with a group tour. 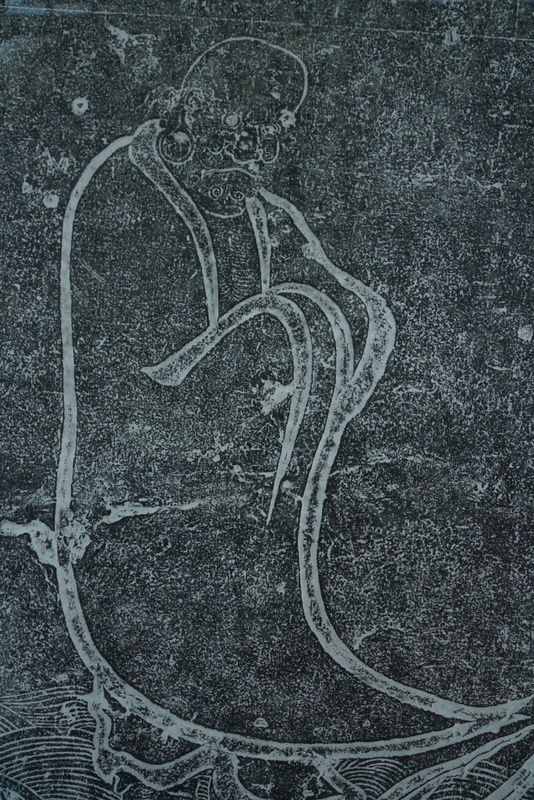 (If I had not taken the train, I would have walked through the square, seen a giant bronze relief (26m wide, 8m high) describing the difficulties Sakyamuni faced before attaining enlightenment, the Ashoka Pillar (replica) which symbolises the spread of Buddhism from ancient India and a large hand of Buddha (11.7m high and 5.5m wide) on one side and 100 children playing with Maitreya on the other side). 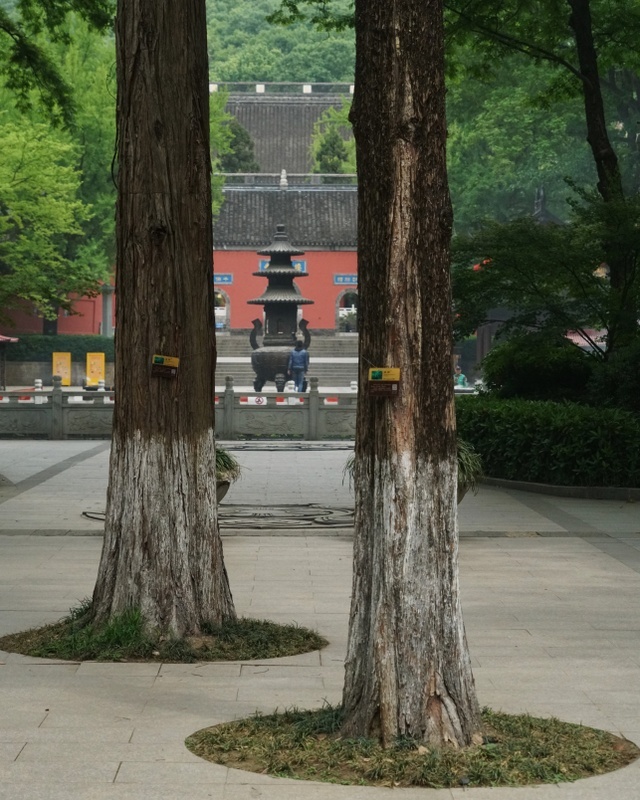 It was a relief to get off the train in front of an ancient ginkgo square with a 1400-year-old ginkgo tree. 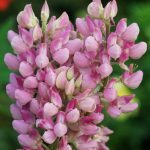 Then I began to climb with some pain in my right hip and knee the ‘Ascending Cloud Avenue’ with 216 steps standing for 108 troubles and 108 wishes. The stairs are set on seven rising platforms which correspond to the levels of the seven-storied stupa. After the staircases, I took the lift to the platform where the statue stands. I touched the toes of Buddha, looked up and found the eyes of Buddha following me (optical illusion). The right hand of Buddha which points up to heaven, is in the ‘Fearless Mudra’ enabling people to be brave and peaceful in mind. The right hand pointing down to the earth showing the ‘Benefaction Mudra’ blessing all flesh with safety and happiness. I enjoyed the panoramic views of the entire scenic area despite the unclear sky. Smog or dust or fog? I don’t know. 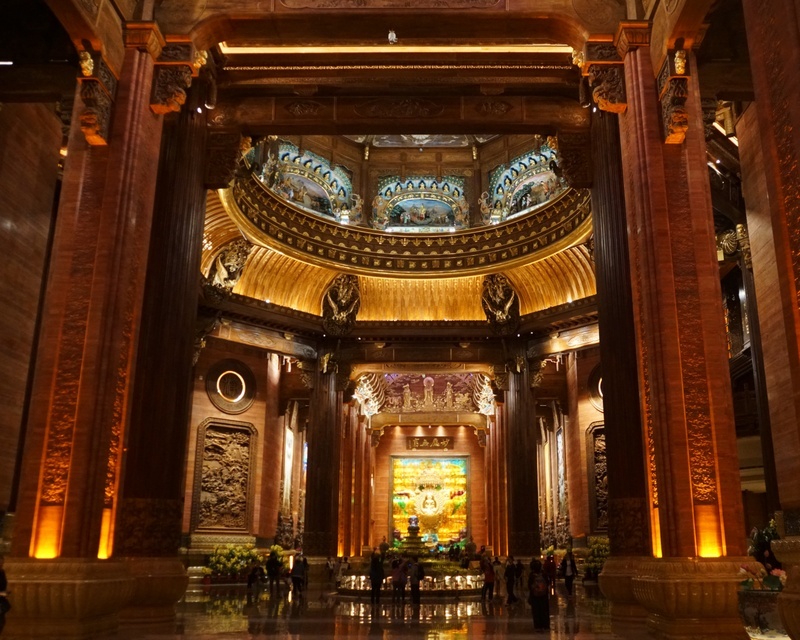 Inside the pedestal of the statue is a three-floored Museum on Buddhism. 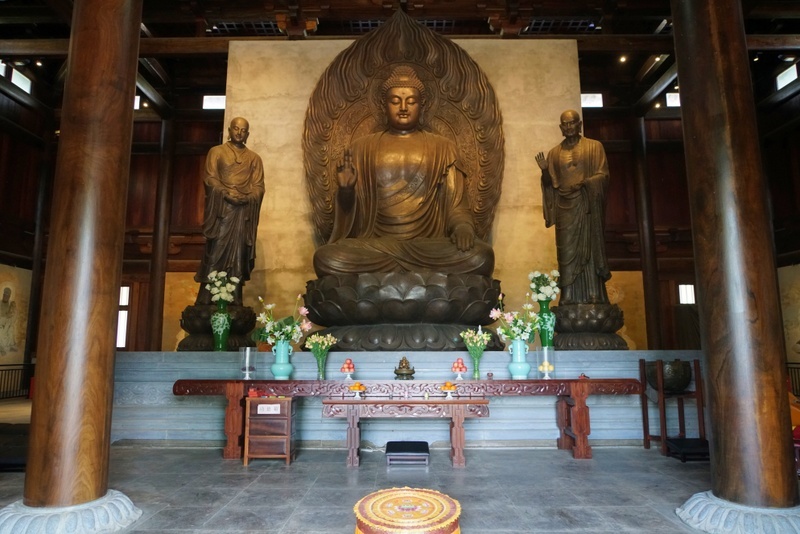 The first floor relates to Buddhism culture, the second floor shows the Buddhist utensils, poems and paintings, and the third floor holds a large number of small Buddha statues. But I had no time to take a close look. Anyway, most of the exhibits look new and are replicas. I was back at the ginkgo square 10 minutes before the appointed time. 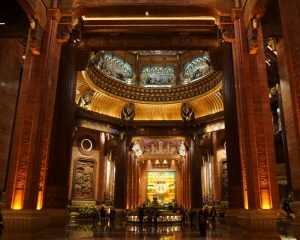 I went to the Mahavira Hall the grandest building in the temple. In front of it, I found an 8m-high Buddha statue which is the model of the Grand Buddha, a Drum Tower and a Bell Tower. I did not go further as I would be late. (Had I gone further, I would have seen the large hand of Buddha). The group took the train to the Braham Palace for lunch in a private room. We spent about an hour and a half at lunch. I prefer to spend time exploring the temple instead of eating. According to descriptions in a website (www.travelchinaguide.com), the palace built in 2008, shows “a classic expo on the profound Buddhist culture and brilliant traditional art in China”. Built in stone and marble, it is lavishly decorated with gold, glass, refined relief, lacquer ware, cloisonné, porcelains and orchids. 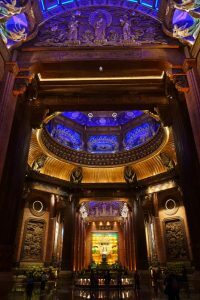 The huge oil paintings on the walls of the grand hall however look western. 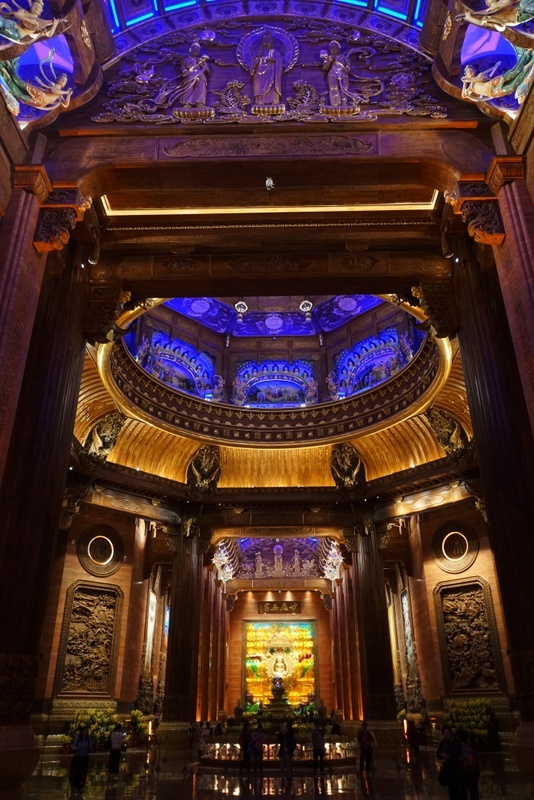 I confess I am not impressed by the lavish decoration of the palace, the 2:30pm sound and light show at the Grand Hall and the 4pm drama ‘Ode to Auspice’ in the theatre. The drama which was about the life of Buddha is superficial, not aesthetic and in my view poorly produced. We took a ride back to the entrance. I decided to go back to Nianhua Bay to see the place without artificial lighting. Teresa joined me and the coach driver kindly dropped us off at the park. I bought a half-price ticket- the benefit of being old! The sun was setting and we had a fabulous time enjoying the landscape and scenery and taking photos. 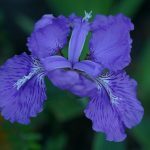 The place was not crowded and peaceful with traditional boats without engine slowly moving on the lake, beautiful iris in different colours bordering the lakeshore and old-styled wooden structures. Time for dinner. Alas, two popular (and good) restaurants we had identified were closing at 7:30pm. At the end, we picked one where we had three dishes including local fresh shrimp which is tiny and white in colour. We took a taxi and were back in the hotel shortly after 8:30pm. I spent RMB180 on this enjoyable side trip and dinner. While we were out, our friends spent the evening coping Heart Sutra in a zen hall. I would enjoy that too. But time is limited and wishes are boundless: we always have to choose! That’s life. A travel day. After breakfast, we left the hotel for Nanjing airport. After having lunch near the airport at noon, we checked in without problem. Our plane took off ahead of schedule shortly after 2pm. I was home before 6:30pm ending a short pilgrimage trip. This is my sixth pilgrimage trip with the Buddhist Compassion Organisation which is celebrating its 18th anniversary this year. 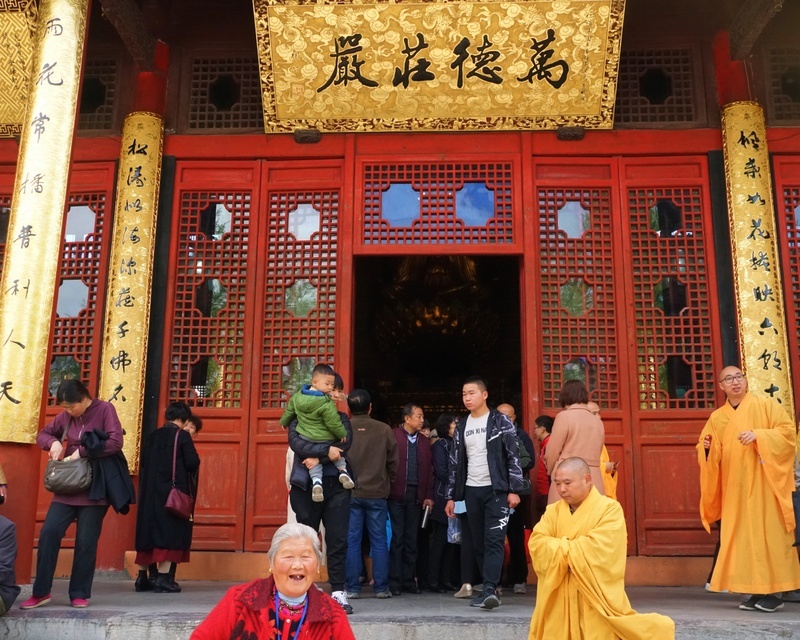 Its trips are centred around Buddhism and places closely associated with the religion. Though I am not a Buddhist, I find these trips educational and spiritual. 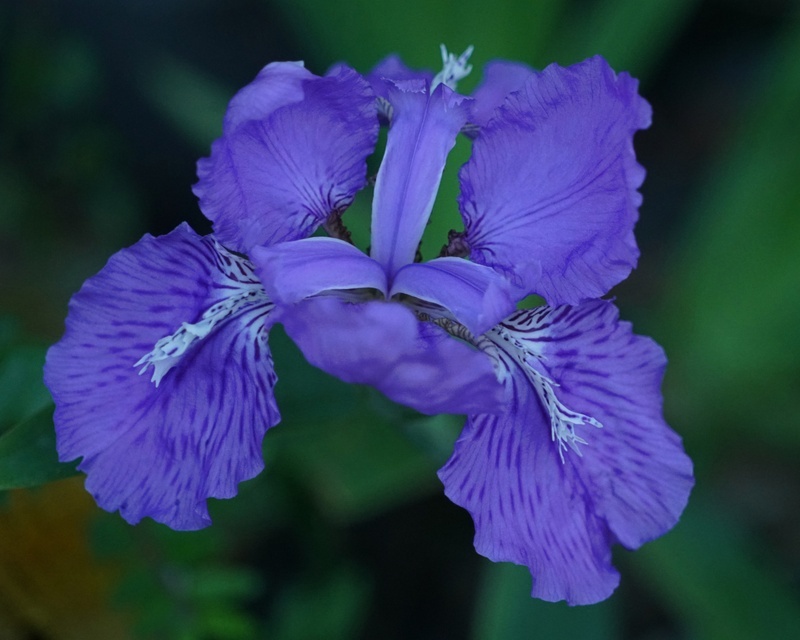 Compassion, humility and mindfulness are omnipresent. I always feel peaceful and blessed during and after the trip. 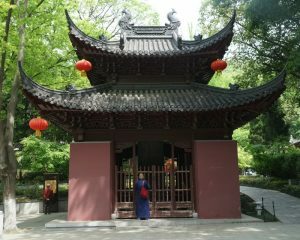 This time I visited three temples in Nanking. Qixia Temple with long history, beautiful landscape and vegetation is my favourite. I love to return one day to see the foliage in autumn. 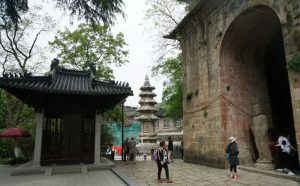 Dingshan Temple is important as Damo had stayed. The abbot is dedicated to complete building the temple. I hope to return on the day when it is inaugurated. 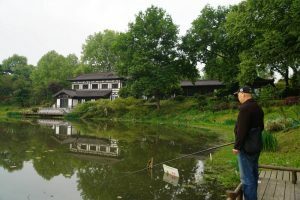 I have never been to Wuxi and cannot say I have been there after this trip. Ling Shan Scenic Area and the Nianhua Bay are basically theme parks: the former centres around the Grand Buddha and Buddhism while the latter builds on the theme of ‘Zen’. The setting and the Grand Buddha are impressive. But I find no tranquillity, peace and spirituality in this commercialised theme park. The Nianhua Bay though commercial, is worth visiting. I appreciate the developer has put in much effort in the landscape, the architectures and the programme to create a zen atmosphere. Many visitors come to see the sound and light show and the colourful lighting in the evening. Though the production is fairly good by the Mainland’s standard, I am not particularly impressed. Anyway, I prefer Nianhua Bay in daylight. The Buddhist Compassion Organisation is planning a pilgrimage trip to Dunhuang. I immediately put down my name and look forward to my next pilgrimage trip!